As the son of a mother who lost her father to drowning, I was going to learn to swim, and swim well. Not that I had anything against it, but I wasn’t given any choice in the matter either. Let’s just say my mother was very committed to this project; at just a month old, I was already splashing around in the lake where my grandfather drowned. Being Canadian, I learned to swim just after I learned to ice skate, and just a touch before I learned to walk. Basic forward motion in the water was learned early on, but there were also lessons every summer, and weekly trips to a pool for practice through the winter. By 10, I’d collected every available swimming badge, and by 16 I was working summers as a lifeguard. After endless laps and uncountable lake swims, my 10,000 hour mark is nearly invisible in the rear view mirror. I’m not Michael Phelps, but by any mammalian measures, I am already proficient in aquatic locomotion. Still, having set some big goals for myself in this domain for the next couple of years, I wanted to take myself in for an aquatic MOT. Why? Well, as a medium for movement, water is pretty unforgiving. Air is much less troublesome. If your technique is poor while walking, wind resistance is not a problem. Take that to a run, and it becomes slightly more of an issue. Get on a bicycle and wind resistance – and your technique for lessening it – start to move more into focus. Water is roughly 800 times more dense than air, so when you slip into the water technique takes on an unbelievable importance. It doesn’t really matter how strong a swimmer you are if you are not relaxed and efficient in your movement through the medium. A small flaw in technique over a mile is no problem if you are strong. A small flaw over 10k or longer will mean the difference between finishing and not finishing a race. So with a 10k event and some other swimming adventures on my radar I wanted to be sure that I wasn’t wasting any energy in the water. I booked some lessons. Heading into my first lesson, I was a bit sceptical. Not sure there was much left for me to learn. Still, within 15 minutes my coach, James Ewart, had found three small but significant weaknesses in my technique: I was rushing my strokes, using my upper body to pull myself through the water, and holding my breath a touch too long on each stroke. In my second lesson, he suggested a slight change in the rhythm of my stroke, the better to engage my core muscles and bodyweight to produce leveraged force that pulling with shoulder muscles never can. When I briefly managed to combine all these changes I had an experience of ease and speed that made me positively giddy with enjoyment. Hoo-hah! I couldn’t wait to try it again. Amazing. Just four adjustments, and all of a sudden I’m moving significantly faster and with much less effort. Sound like something else you know? 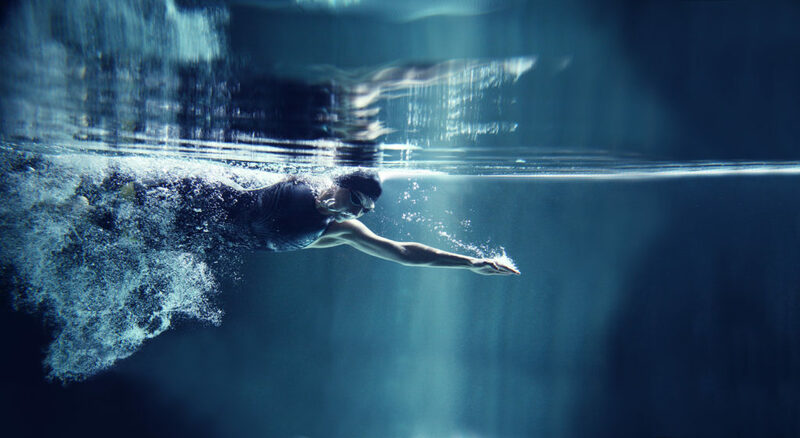 I’ve not been at it for as long as I’ve been swimming, but every time I have re-engaged with the principles of GTD® I have found another gear. A bit like with swimming, initially it was all about moving faster. 15 years of practicing GTD later, it is less about the speed, and much more about moving more effortlessly through my life. Well, many of our clients are sceptical about the promise of GTD too. They are already good at what they do and how they do it. Many are already at the top of their field. From that position it is difficult to conceive of how much better they could still get, and that some small changes practiced consistently over time could have an outsize impact on their results. But they can. So far, I’ve never met anyone I couldn’t find at least 10% more speed and ease for in a coaching session. Usually, it is far more. Technique matters over time. Work too hard for a week, and you get stretched. Work harder than you need to for years and years, and you end up a casualty in the burn out boom. The changes can be big or small. The breathing thing was easy to integrate. Fundamentally changing how I think about how a body moves most efficiently through water is taking a lot more digesting. For our clients the two-minute rule is generally pretty easy to integrate. Getting addicted to the perspective and control that comes with a weekly Weekly Review®, not so much. It isn’t all smooth sailing. Unpicking my stroke was uncomfortable – and, frankly, frustrating – for longer than I liked. Similarly, it is challenging for our clients to face into the discomfort of capturing things in the moment they occur, or slowing down to Clarify rather than just working out of their inbox. Also helpful has been going back to being a beginner again, and having some physical experience of the joy and pain our clients experience in learning GTD. It’s early days yet, and there is a lot more practice needed. But when I manage the relaxed focus that allows me to integrate the coaching I feel an almost effortless surge of speed through the water. It messes with my breathing something terrible, but I just can’t keep myself from a big fat underwater smile. Great blog Ed. Good luck with your swimming adventures! Let us know how they go.